God loves you more than you love yourself. God loves you more than you love yourself. I want you to say this out loud as you read it. “I’M LOVED BY GOD.” Now, we don’t base this truth on feelings. Nothing is wrong with feeling good. I’d rather feel good than feel bad. But, this isn’t based on feelings. It’s based on the Word of God. The Bible says in John 3:16 “God so loved the world that He gave His only begotten son that whosoever believeth in Him should not perish but have everlasting life.” Now, I have to be straight up with you. 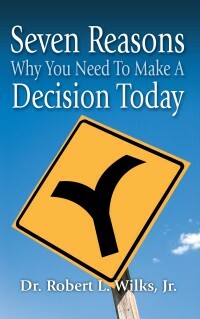 You need to make a decision today! Well, you might say, “Why do you keep pressuring me for today?” Today is all you’ve got. I can not offer you a guarantee and neither does the Bible offer you a guarantee that you will be on the planet earth tomorrow. Am I trying to scare you? YES, I am. If you haven’t made a decision, YES, I’M TRYING TO SCARE YOU!